Our trainers are highly experienced and qualified in dog training and behaviour. We are fully insured and qualified in canine first aid. We only use kind and scientifically-proven training methods and we regularly attend Continuing Professional Development (CPD) courses in dog training and behaviour to make sure we are providing you the most up-to-date training. Fiona has been working with dogs for over 20 years including in boarding, rescue, and rehabilitating rescue dogs with Dogs Trust. She is a member of the Pet Professional Guild and has qualifications from the Centre of Applied Pet Ethology, the Animal Care College, Think Dog and Think Dog Advanced. Fiona also runs Paw Tracks, walking groups of dogs every day. She has three German Shepherds​. 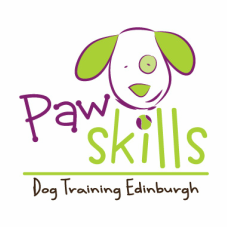 ​Trainer - Karen runs The Dog Marshall, providing 121 training, group dog walking and puppy care. She gained certification with the Cambridge Institute of Dog Behaviour and Training and is working towards Master Trainer accreditation with the Guild of Dog Trainers. She lives in North Edinburgh with her Romanian Rescue Maus.